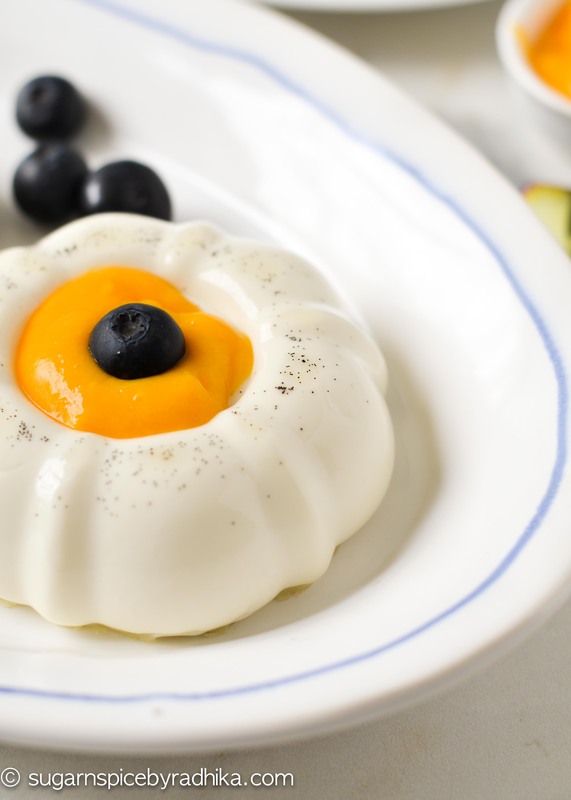 The perfect Panacotta recipe with a refreshing mango topping and fresh blueberries that will make you fall in love in no time. 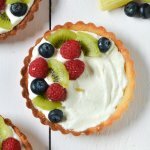 I love making Panna Cottas because they’re quick and easy and don’t require a lot of prep time. All you to do is combine all the ingredients, let it set and forget about it for four hours. (But don’t forget to eat it ). 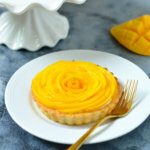 This perfect Italian dessert is easy to make and, is so rich and smooth in texture that it will literally melt in your mouth the moment you take a bite. 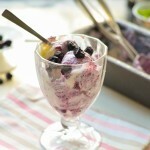 It looks beautiful and tastes delicious with any fruit compote or puree. 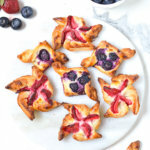 This is one of my favourite recipe. 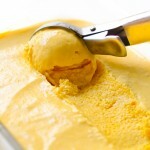 Its filled with a delicate flavour of vanilla and the creaminess from the milk and fresh cream. It’s easy and doesn’t take much time to prepare. All you need is just a handful of basic ingredients like cream, milk, sugar, vanilla and gelatin for this recipe. 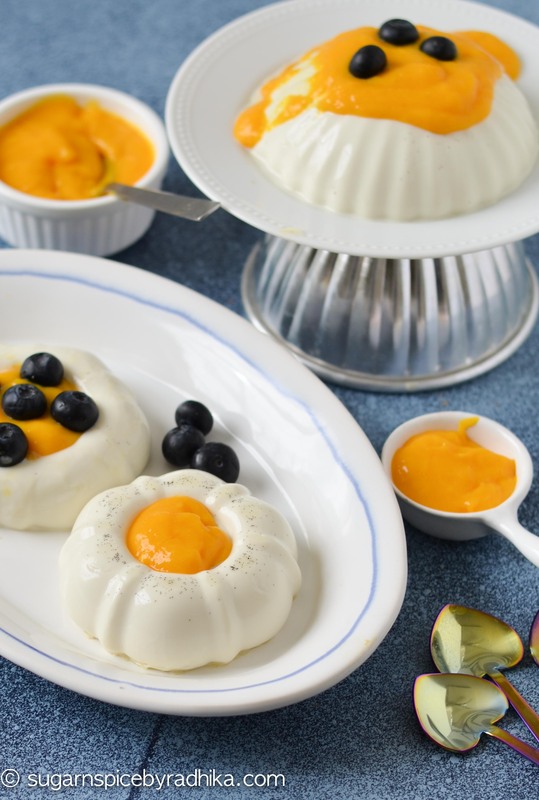 Top it with mango puree and fresh berries and let this Mango Panna Cotta become everyones go-to dessert. 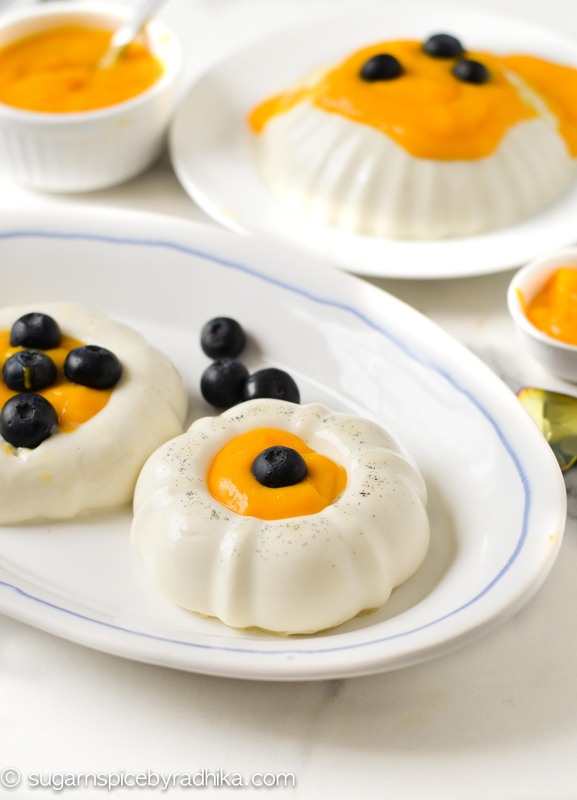 The perfect Panna Cotta recipe with a refreshing mango topping and fresh blueberries that will make you fall in love in no time. Pour milk in a pan and sprinkle gelatine over it. Heat the pan on a really low heat and whisk until the gelatine is completely mixed. Once it is, add in the sugar and whisk again until the sugar melts too. Again, make sure that the heat is really low. The milk should not boil or steam at any point. Once the sugar is melted, take the mixture off the heat and add in the cream, vanilla and a pinch of salt. Whisk and pour it in ramekins or any tin of your choice. Chill overnight or at least 5 hours in the refrigerator. Do not freeze. 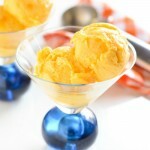 To make the mango puree, blend mango pulp of the two mangoes with milk in a blender until really smooth. Refrigerate it until you're ready to serve. To demould the pana cotta, dip the sides of the ramekin (or whatever tin you're using) in warm water for a 2-3 seconds (make sure the water doesn't enter the tin though). This will help loosen the sides, next invert the ramekin over a plate to transfer the panna cotta. 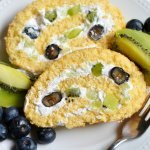 Spoon over the mango puree on it, decorate with berries and serve. How much milk for topping? It’s written 2 but what 2? 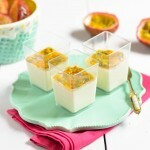 Hey Ruta, as mentioned its 1.5 cups for the panna cotta and 2 tablespoons for the topping. pls refer to the recipe.